Compensation was provided by Nestlé Coffee-mate® via Mode Media. The opinions expressed herein are those of the author and are not indicative of the opinions or positions of Coffee-mate. On any given day, I begin with a cup of coffee. I usually drink it while standing at the kitchen counter as I gather my thoughts for the upcoming day and sometimes I become lost in a thought. Since having coffee is a part of my daily routine, I like to switch it up from time to time and Coffee-mate creamers allow me to do so with their wide variety of flavors. This particular day while I drank my Chocolate Chip Cookie Mocha, made with Coffee-mate Toll House Chocolate Chip Cookie creamer, my mind drifted back to the days when I was first married. Back then, when it was all so new, we would always eat breakfast together. We would laugh and talk about any and everything, including what we had planned for the upcoming day. While it seemed like no big deal back then, I’ve come to realize how important those small moments are especially since it’s become quite rare these days. Our lives have changed a lot since then and having those small moments take effort because having a 3 year old means sometimes having to ditch what you would like to do for what you have to do. As I stood at my counter, almost to the bottom of my coffee I decided there and then to make an effort to recreate those moments which I will share with you soon. 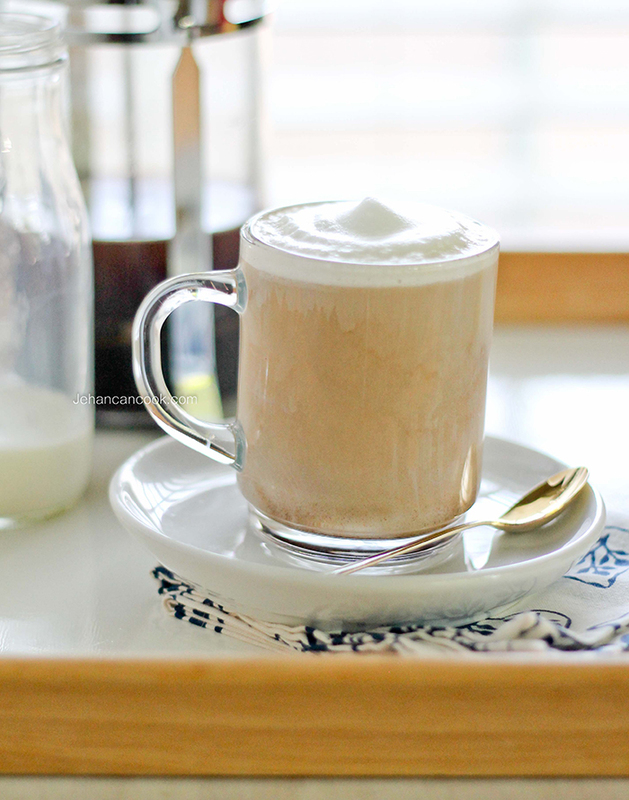 As I mentioned before, I love a cup of coffee in the morning but I also like variety so I usually have a bunch of different creamers on hand. 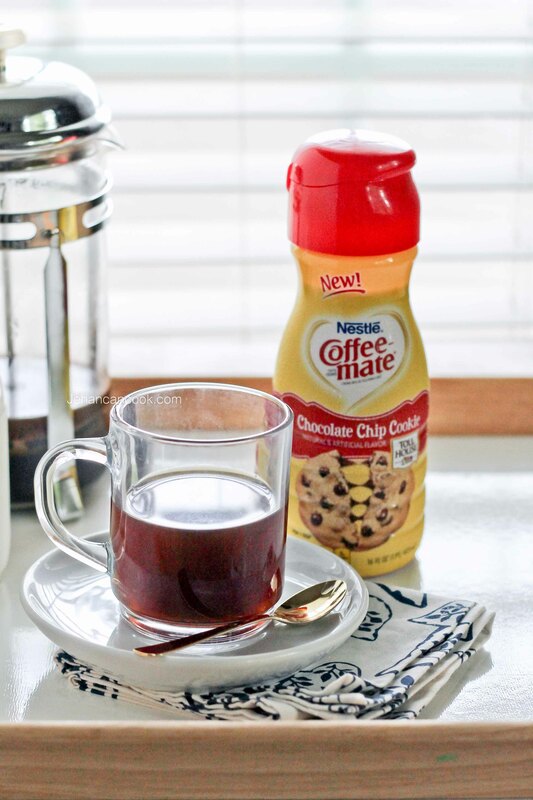 I’ve teamed up with Coffee-mate who makes a variety of creamers such as their Caramel Macchiato, Classic Vanilla and Toll House Chocolate Chip Cookie which I used to make a Chocolate Chip Cookie Mocha that was incredibly good. I love the fact that creamers allow me to switch it up without too much work; after all I am in my home and not a fancy coffee shop so minimal effort is necessary! Using the creamers allows me to add variety with a simple pour. 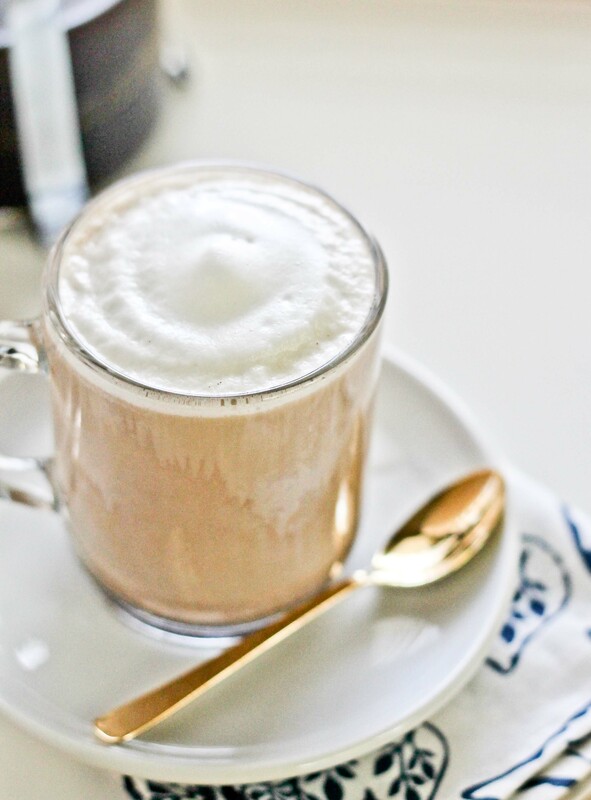 Is coffee a part of your morning routine? If so, how do you like your coffee? Divide Coffee-mate and coffee into 2 cups. Add chocolate syrup and milk and stir to combine. Top with whipped cream. Enjoy! This summer, Nestlé Coffee-mate® is celebrating the sweetest form of nostalgia with their exclusive range of fun, exciting flavors that evoke delicious memories and emotions of the past. These sweet throwback flavors include Toll House® Chocolate Chip Cookie, Caramel Macchiato and Classic Vanilla. The Mocha looks mouth water got to have it! I didn’t know about this flavor! Yum! !